J.R.R. Tolkien, Movie Tie-in The Lord of the Rings, released in 1999 by Delrey with art by Ted Nasmith. 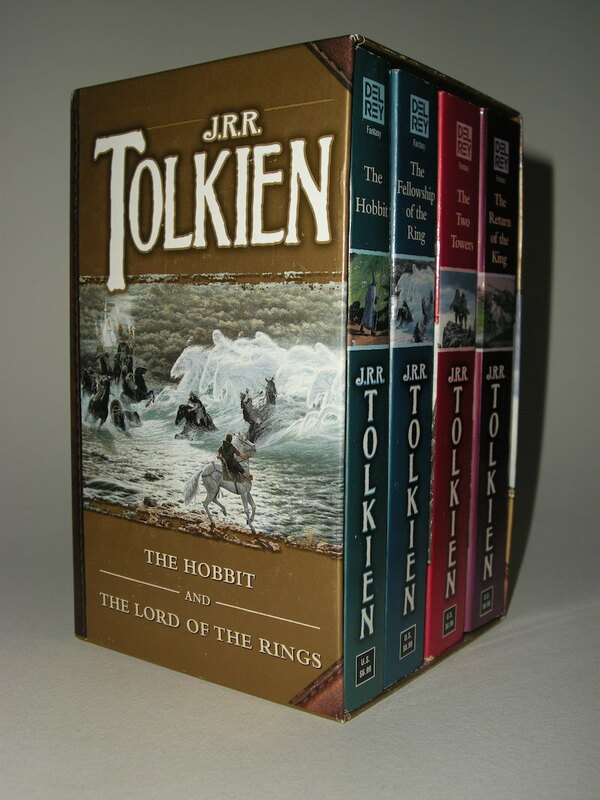 The Hobbit has ISBN 0 345 33968 1 and shows cover art by Ted Nasmith. The Fellowship of the ring has ISBN 0 345 33970 3 and shows cover art by Ted Nasmith. The Two Towers has ISBN 0 345 33971 1 and shows cover art by Ted Nasmith. 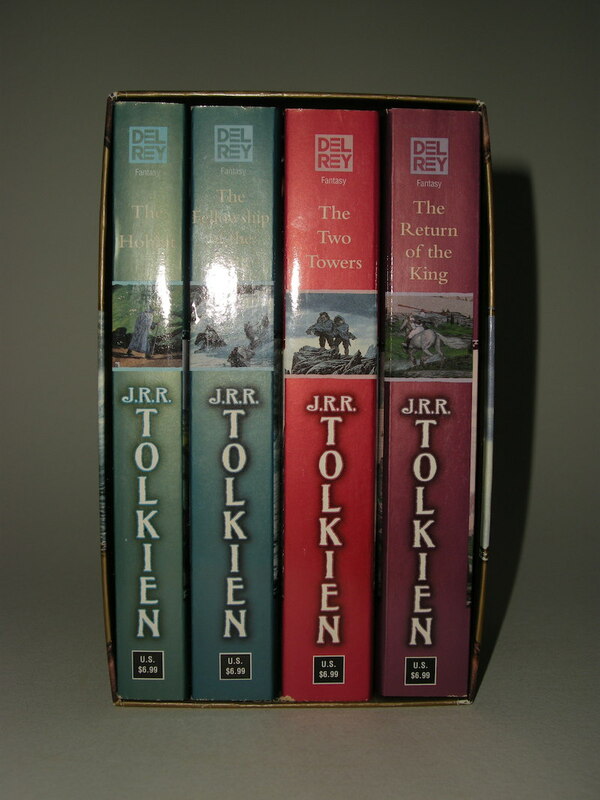 The Return of the King has ISBN 0 345 33973 8 and shows cover art by Ted Nasmith. 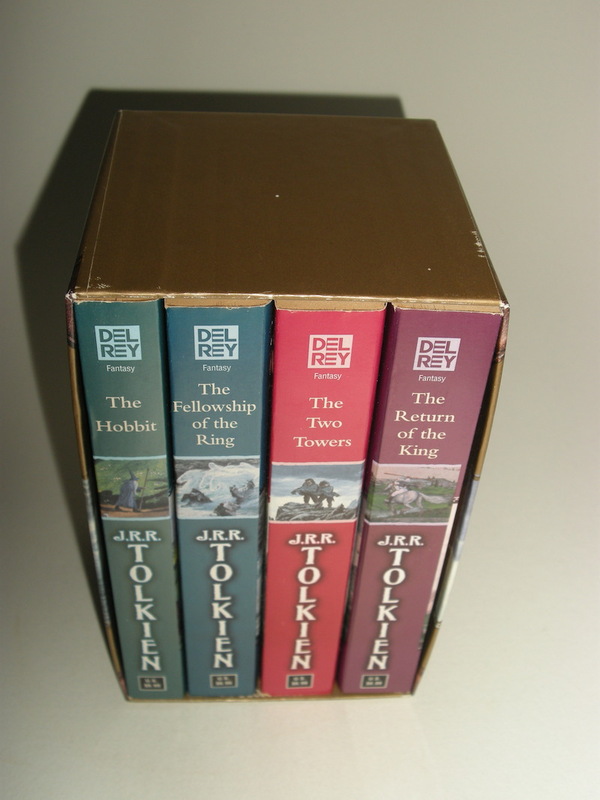 Four different colored covers, gold box. 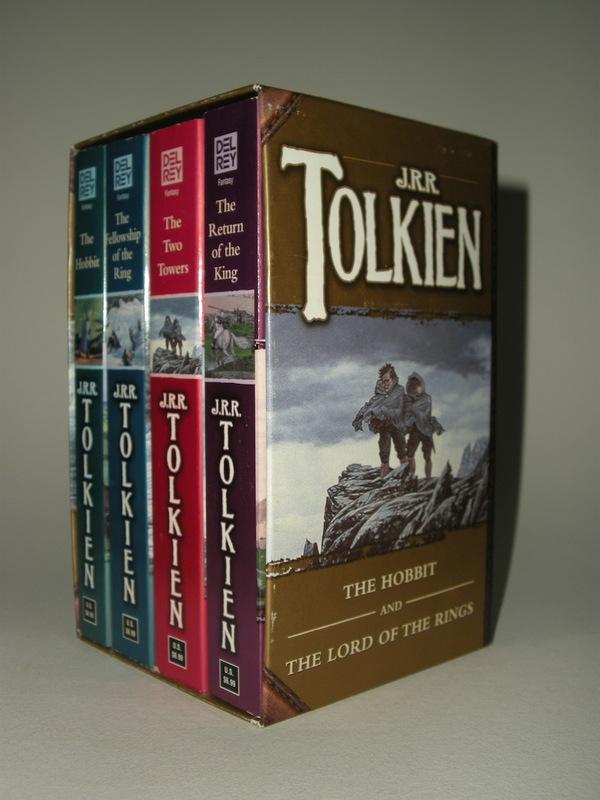 Slipcase art by Ted Nasmith. Book covers and slipcase with designs by J.R.R. 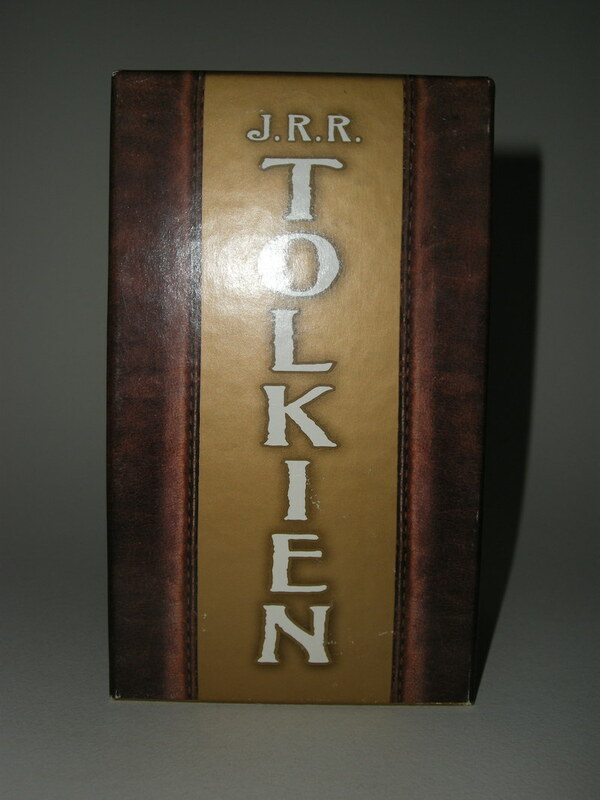 Tolkien and ISBN 0 345 34042 6. 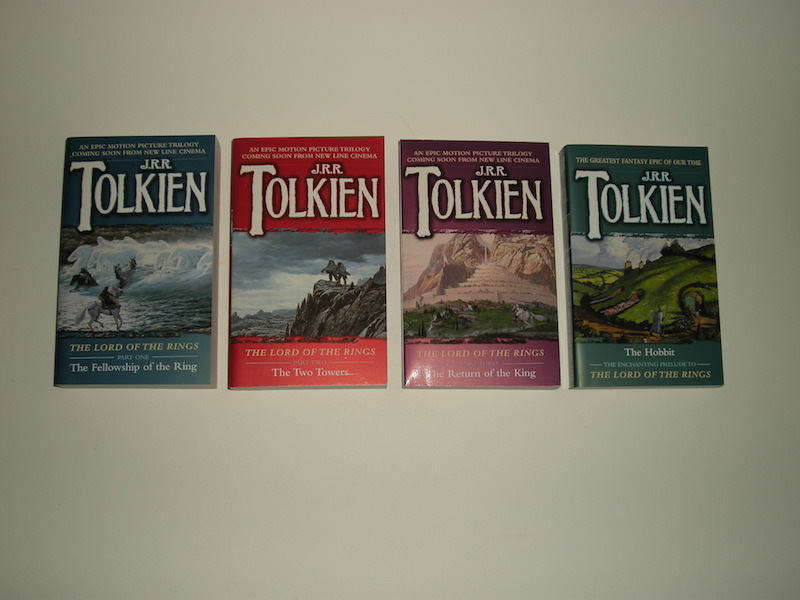 The art is incorrectly attributed to Michael Herring on the copyright pages, though correctly attributed on the rear covers. These paperbacks and slipcase are in mint condition. Just some minor shelf wear on the bottom and top of the slipcase, some minor loss at the corners of the slipcase and at the edges of the books. Books look unread.